Well blow me down! What a catastrophically busy 3 months it has been. It's been a long while since I've visited a bankside. All feels a bit odd really and although things haven't calmed down in the slightest I have been ordered to rest up, because when things return to normal (not that they will ever be quite normal again) I'm going to need all my energy. My son was born at 29 weeks! The list was unfortunately long of reasons why he had to come out, but at the moment, and aged 6 weeks he is a whopping 4lb 9oz, albeit he is quite short even with his prematurity. Obviously fishing was instantly halted, blogging too, and to a certain extent, my own well being. For any of you who've read my blog over the last 2 / 3 years may remember I have a chronic illness (CIDP) which means if I don't rest after I've pushed myself I am F'd! That really began to show a few weeks back and have been fighting over a relapse ever since, but being a NICU parent is never easy or calm or relaxing, so rest does not come easily currently. 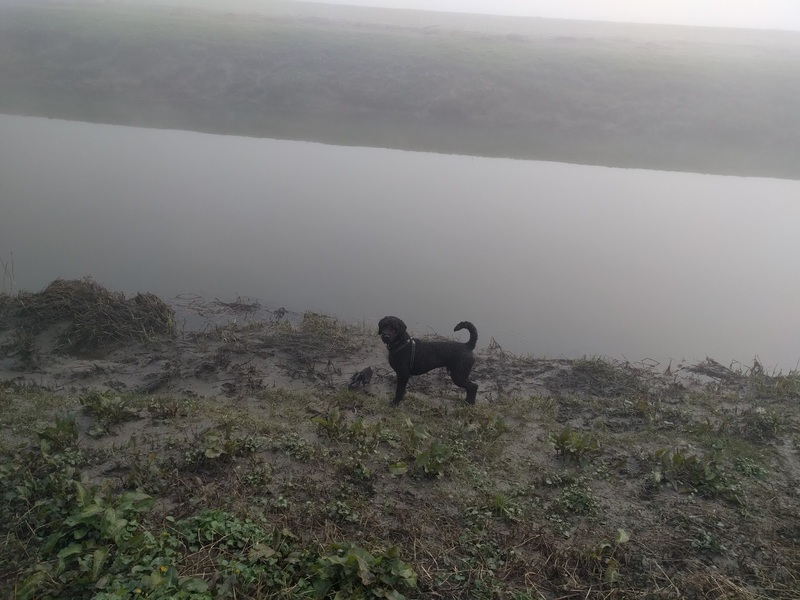 Anyway, back on track I have a new fishing partner! I've already been telling him and my wife how much additional stuff I'll NEED to buy him to ensure he takes to fishing successfully. I cannot wait to get the little fella home, and restart our lives, and when the time comes - teach him as much as possible about fishing. I've got a few to go on, so watch this space. I should hopefully get a few more on over the coming days. Until then, I hope you guys are all well and the fish have been biting. Despite it being mid December a few weeks ago it was actually quite warm, which will explain the photo in the post. A recent trip back to Wales and a few hours spare meant we (3 generations of Murphy's) could get out on the fly for a few hours and chase some last minute puddle pigs before the water temperature really started dropping off. In all honesty though, I've caught the odd Carp at this place in mid winter, off the surface. The just needed a bit of gentle persuading! The place is stuffed full. Well what a few weeks! The little one is home, growing and everything else that he should be. Still getting use to the noises he makes, but no one ever tells you the noises that babies make. 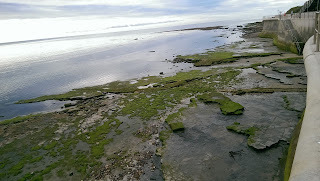 Anyway, I am now mid way through my paternity and in light of wanting something to do I have dug out and published some blog posts from towards the end of last year. What a couple of weeks it has been. In and out of hospital, hardly any chance to get on the bank in between rain showers, fixing the shed and fixing the shed again. 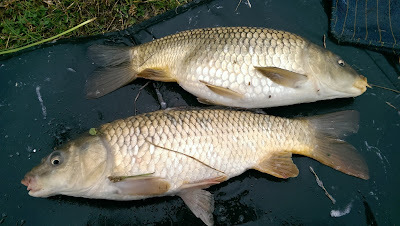 I did manage a short session and despite the absolutely dismal weather I managed to catch a couple of winter carp. It was a good few hours and good to wet a line. Better luck next time, Paul. Well the day has finally arrived! 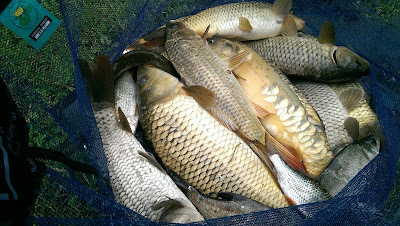 The end of the coarse fishing river season... Cue the "Should there really be a closed season?" debate. Fact is, there is a closed season, so now we have to wait. Which is flipping annoying as I had so many plans last year which for obvious reasons didn't materialise. Maybe this year will be different... Anyway, I managed to get out on the bank for a few (very early) hours on Sunday, and was keen to at least wet a line, given that it has been so flipping long! I went, I cast, I caught. It was great. Really looking forward to trying to head back out there in June after summer Chub!